“Our own, personal experience of the event – as it unfolded live in front of us – gets over-written, overlain with any narrative available that complies with Thomas Carlisle’s ‘Great Man’ theory, that ‘history is but the biography of great men’, that the rest of us, the ‘bystanders’, aren’t part of history. The short story rejects this version of events because, as a form, it has evolved to prioritise the non-heroes – the bystanders, the disenfranchised, the ‘submerged’ (as Frank O’Connor would say). And when it comes to ‘world events’, none are more suited to the short story than the protest. In a protest, we’re all bystanders, we’re all there because of some attempt to marginalise us; the bystanders are the people making history,” writes Ra Page, editor of Protest! Stories of Resistance. The workings of the state when it is under threat are not pretty. One man’s system is another man’s nightmare. Protest! takes the long view. 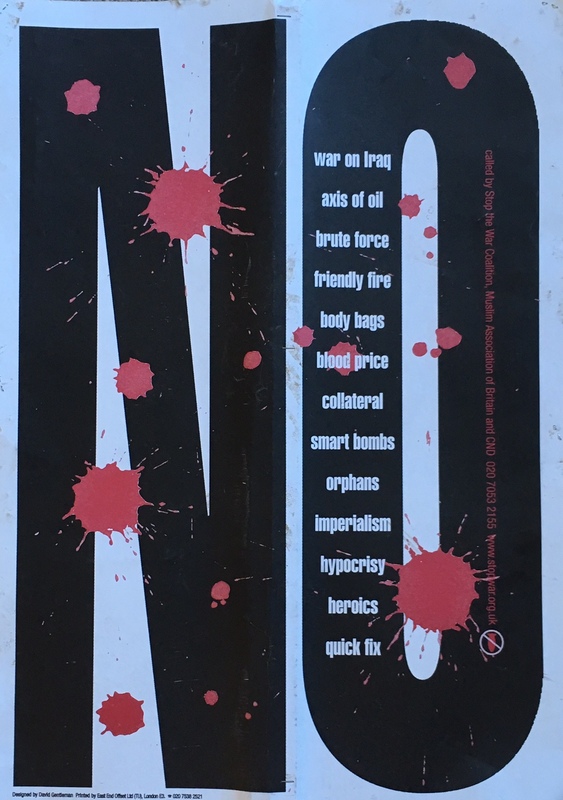 From the Peasants’ Revolt sparked by the Poll Tax of 1381 to the anti-Iraq War demo of 2003, the 20 movements featured in this superb book have parallels in terms of ideas and tactics and emotional charge. The framework of the anthology brings to life the events and the people involved. A short story like a snapshot in time is followed by an afterword by an academic who, in certain recent cases, was an eyewitness. Prior protests loom large over present ones. This struck me forcibly while reading the stories and simultaneously following Westway 23’s facebook posts about the Grenfell Tower Protest in my neighbourhood. It is no coincidence that safe Tory seat, Kensington, went to Labour by a narrow margin for the first time ever in the recent snap election. The gruesome fire has illuminated years of institutionalised abuse and disregard for the law on the part of the corrupt powers-that-be. Establishment standard bearers The Sun, The Daily Mail and The Spectator have been accusing the ‘hard left’ of ‘hijacking’ the Grenfell fire tragedy for their own ends. Plus ça change. Certain common features and conditions are inherent in the 20 movements portrayed in Protest! Stories of Resistance. The English Revolution of the 1640s spawned numerous religious groups, the best known being the Diggers, the Ranters, the Fifth Monarchists and the Quakers. In Frank Cottrell-Boyce’s story set in 1666, Judith Squibb – a chambermaid working in a tavern near Rye – dreams of assassinating Charles II. Her story reflects the beliefs of Fifth Monarchists who interpreted prophecies in the biblical books of Daniel and Revelation, and asserted that Christ would return to establish his kingdom. Greenham Common Women’s Peace Camp was established in 1982 to protest at nuclear weapons being sited at the RAF base. Joanna Quinn’s story offers us a glimpse into life on the front line and its effect on family relationships. “Before I came to Greenham, Stephen and I had watched this QED documentary about what would happen if a nuclear bomb was dropped on London. Parts of it had wedged in my head. Little shrapnel shards. Whenever I gave the kids a bath, I would hear the words water instantaneously boiling. When I cooked their tea, I heard human flesh, like all animal fats, will melt and burn.” Women became articulate and were empowered by the experience. Rallying songs included chants to the tune of Frère Jacques . 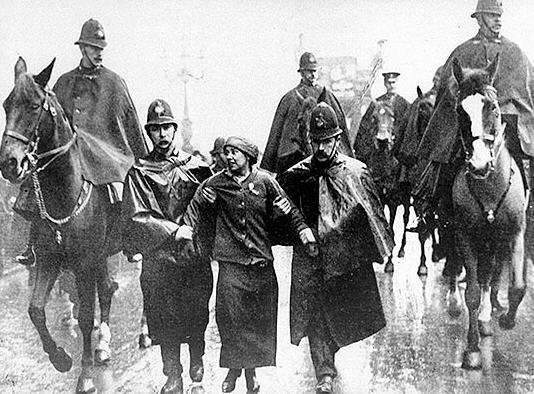 . .
Martyn Bedford writes about a family divided by the Miners’ strike of 1984-5 when the Conservative government under Margaret Thatcher smashed the NUM. Two brothers are buying ice cream from a van at the picket at the Orgreave coking plant when Don is assaulted by the police, is hospitalised, ends up in court, and continues to manifest psychological symptoms. Peter goes back to work because of hunger and poverty. Ostracised for being a ‘scab’, Peter is beaten up by his nephews for being a traitor, and he leaves town with his family. Thirty years on they all meet up at Don’s funeral. The Hillsborough disaster followed in 1989, and 28 years of smears and cover up ensued. Nowadays police are less likely to engage in such openly aggressive behaviour although the Tottenham riots of 2011 kicked off after the shooting of Mark Duggan, (in the US and France police brutality is quite ‘normal’ in certain neighbourhoods – the riots of 2005 in the suburbs of Paris and other French cities were sparked after two French youths were electrocuted during a police chase). In his Afterword, Avtar Singh Jouhl describes his experiences of segregation in pubs and other public places when he first arrived in the UK. He was one of the men accompanying Malcolm X on Marshall Street, in February 1965. The walk was an act of defiance in the face of local National Front supporters, and the deliberately racist housing policy set up by the group of Conservative councillors running the area. How often does a peaceful protest of disparate demonstrators protesting against a new law turn ugly? Courttia Newland describes the fate of a young couple in love, caught up in the Poll Tax riots of 1990. “A scream. It got louder, the pressure of the crush stronger, people crying in real terrified fear, released as uniforms appeared on all sides. Truncheons swung. The mute thud of contact, grunts of officers. Maxi shouted, only he couldn’t make out the words.” The initial conflict and confrontation with the police escalates into an attack on property. The police legitimise confrontation as self-defence, and repression as retaliation. Anna, a poet and a single mother, is back home again, living with her ageing, activist mother. She works as a cleaner. Trump is running to be President: both women shout at the TV. Anna’s Russian émigré employer, a left-leaning former academic and writer, is researching the story of “May Hobbs, a former cleaner, blacklisted by employers for urging cleaners to join a union.” It turns out that Anna’s mother and her employer have more in common than that which divides. Rivers of Blood: Stories in Two Voices by David Constantine, and the Afterword by his brother Prof. Stephen Constantine represent the crux of the matter – for me anyway in these Brexitish times. The May Day March in Oxford in 1968 was a protest against Enoch Powell’s notorious ‘Rivers of Blood’ speech, delivered in Birmingham a month before and widely publicised in national newspapers. Jacob Ross’ story focuses around a doctor working in a hospital which takes in the victims of the New Cross Fire of 1981. The poignancy of 13 lives lost in a fire at a birthday celebration – caused very probably because of a fire bomb chucked through the window of the house – resulted in boiling unrest in the face of local indifference. The victims were turned into perpetrators by police smears and cover up. Reggae anthems were written, and Menelik Shabazz made the film Blood Ah Go Run recording the ‘Black People’s Day of Action’ march. “Maybe I was bisexual. Maybe I was a transvestite, and that made me gay, I didn’t know. I just didn’t like being a guy, and thought someone there might understand . . .” Juliet Jacques story is about a student who joins the Gay & Lesbian Society at Freshers’ Week and gets caught up in the Clause 28 protest, “Ian McKellen had come out in response to the Bill, we were informed to rapturous cheers, and he probably wouldn’t be the last.” It reminded me of how much positive attitude adjustment there has been since the 1980s. The environment is often under threat from government initiatives in the name of modernity. Flooding valleys to create reservoirs is common practice. (A section of the Yangtze River in China was dammed in the early 2000s to create a 410-mile-long reservoir, creating major problems.) The flooding of the Welsh valley of Tryweryn to provide water for Liverpool and Wirral, in 1965, caused great dissent and distress. “Eight hundred acres, twelve farms, one post office, one school, one chapel and a cemetery were emptied out so the valley could be filled with water,” writes Francesca Rhydderch. Her mother becomes the poster girl for the Welsh Language Society movement fighting to preserve the Welsh language. Protest! Stories of Resistance is an illuminating and essential read. The perfect inter-generational birthday or Christmas present, it joins up the dots and gives context, which is invariably missing from disdainful, market-led Media narratives, and rote-learning history ordained by successive governments. Buy it and read it!